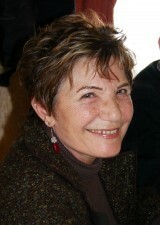 Arvick Baghramian, currently living in Spain, received her degree in Applied Social Studies and Social Work from the University of Bradford in England. She specialized in the field of child sexual abuse and has worked with traumatized children and adults for the past twenty years, lecturing extensively on the subject and training professionals around the world. Her work with abused children compelled her to explore different therapeutic techniques, leading her to become a Play Therapist, NLP practitioner, a Reiki master, a conscious breathing trainer and a shamanic counsellor. It was also as a result of her own personal wounding that she came to practice and teach these techniques, which are centred on self-empowerment and personal realization. For the past ten years she has been teaching and leading workshops in Core Shamanism in the UK, USA, Israel, Spain, Poland and the Scandinavian countries. 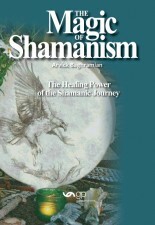 Initial work for a Ph.D. on the subject of shamanic practice at the University of Newcastle developed into a broader writing project, and this book is the result.